Still up for totally dumb jokes? Yes? Great! 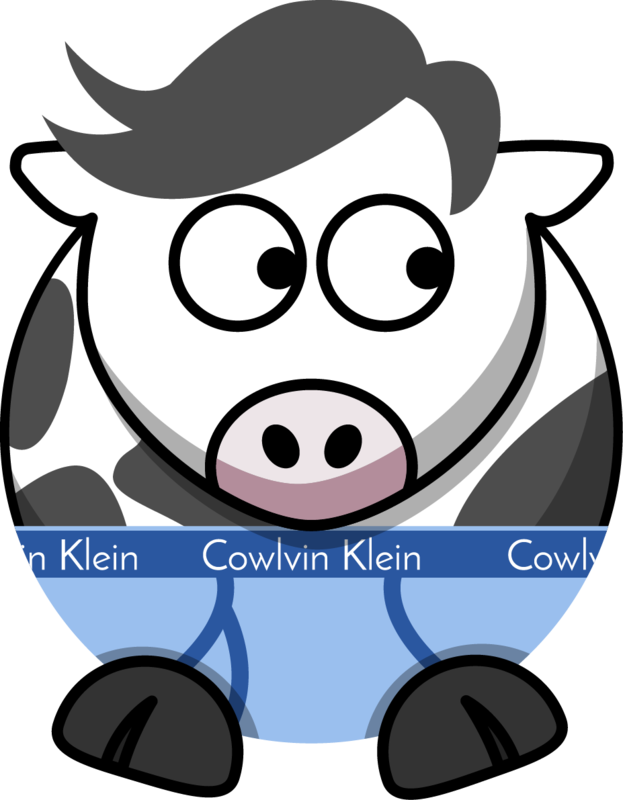 Then, I'm introducing the new newsletter mascot: Cowlvin Klein! Improved ssh connection error reporting, now you get back the specific message from ssh. Added facility to document task module return values for registered vars, both for ansible-doc and the docsite. Documented copy, stats and acl modules, the rest must be updated individually (we will start doing so incrementally). Optimize the plugin loader to cache available plugins much more efficiently. For some use cases this can lead to dramatic improvements in startup time. Fix skipped tasks to not display their parameters if no_log is specified. environment: directive now can also be applied to play and is inhertited by tasks, which can still overridde it.